It has been confirmed that the Palestrina Choir of St. Mary’s Pro-Cathedral, Dublin, will sing at the Papal Mass celebrated by His Holiness, Pope Benedict XVI in St Peter’s Basilica on the Feast Day of the Epiphany, Sunday January 6th 2013. 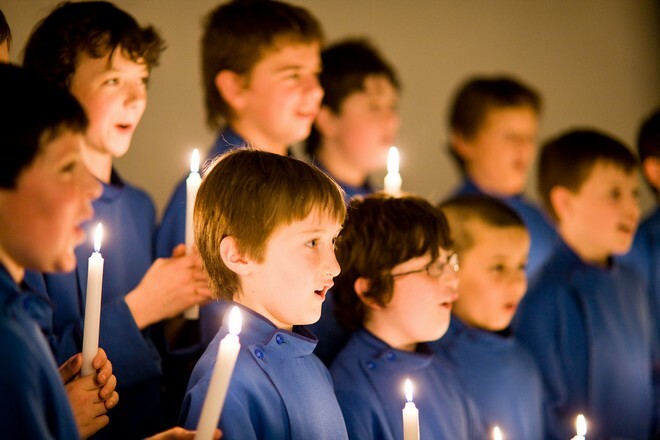 Invited by the director of the Sistine Chapel Choir, 32 Boy Choristers and 12 Gentlemen from the ranks of the Palestrina Choir will join and sing some repertoire with the prestigious Sistine Chapel Choir while also singing some repertoire on their own to showcase the best of Irish liturgical choral music. Archbishop Diarmuid Martin will be attending the ceremony in St. Peters. Choir Director, Ms. Blánaid Murphy said the Palestrina choir was delighted to accept the invitation, she added the two of the most recent choirs to join with the Sistine Chapel Choir were the choirs of Westminster Abbey and Westminster Cathedral. This is the second time a choir from the Archdiocese of Dublin has been honoured with an invitation to the Vatican to perform in the presence of the Pope. In February 2009, Our Lady’s Choral Society and the RTÉ Concert Orchestra, under conductor Prionsias Ó Duinn, played Handel’s Messiah for Pope Benedict to mark the eightieth anniversary of the foundation of Vatican City State. The Palestrina Choir, installed in the Pro-Cathedral in January 1903, is the only Catholic choir of its type in the Republic and is one of the best known choirs in the country. It has played a significant role in the 110 years in championing the highest standards of Catholic liturgical music. The Choir sings every Sunday at 11a.m Mass in St. Mary’s Pro Cathedral in Dublin. In June, the choir sang at both the opening and closing ceremonies of the International Eucharistic Congress. The boys from the choir will be at Government Buildings at 2pm this afternoon, Tuesday December 4th meeting with An Taoiseach Enda Kenny. The Pontifical Council for Social Communications has the responsibility of coordinating the worldwide telecasts of Papal ceremonies at Christmas and will broadcast the ceremony the Palestrina Choir is to attend on January 6th. Television Commentaries from the Vatican in English, Spanish and French will be offered on the satellite audio channels of Eurovision World Feed. Details concerning the various satellites and frequencies will be posted on the Pontifical Council for Social Communications website. (www.pccs.it/tj/telecasts.htm), in addition to texts and background information for television producers and commentators. For all Vatican broadcast enquiries: Pontifical Council for Social Communications (Thaddeus Jones). Tel +39 06 698 91810; fax +39 06 698 91840; email telecast@pccs.va; web: www.pccs.it/tj/telecasts.htm.